Don’t believe the lies of Big Pizza, alright? 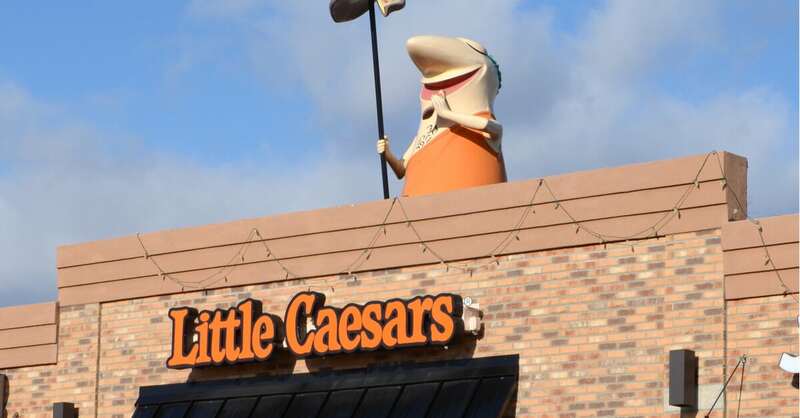 A major scandal appears to have been uncovered amid the highly secretive and lockdown world of Little Caesar’s Hot N’ Ready pizzas (that’s where you walk into a Little Caesar with five dollars and if you give it them then they just give you a pizza immediately for free), and while there’s been an explanation from Little Caesar himself, we’re not buying it. Here’s what happened. A sharp Twitter-user was hanging out at a K-Mart (you know how you do on a Friday night) when he noticed something awry at the store’s accompanying Little Caesar’s. According to the user’s video evidence, a shopping cart full of frozen DiGiornio pizza was behind the counter at the Little Caesar’s, appearing to be the crux of a sophisticated bait-and-switch operation in which Little Caesar was passing off the (delicious, buttery) frozen pizza for its own Hot N’ Ready pie. What the heck?? Yeah, OK Caesar. Nice try. This might be a likely story (really, it’s very likely), but we’d rather live in a world where low-tier pizza companies engage in wild feuds with one another and the history books tell tale of the Great Trash Pizza Wars of the Late 2010s.